Preheat the oven to 375°. Remove the steaks from the refrigerator. In a blender, pulse the parsley with the garlic, shallot, vinegar, capers, 1/2 teaspoon of salt and 1/4 cup of water until coarsely chopped. Add 1/4 cup of the olive oil in a steady stream and blend until thick and smooth. Transfer the chimichurri to a serving bowl. Generously season the steaks with salt and pepper. Heat a very large ovenproof skillet until very hot. Heat the remaining 2 tablespoons of olive oil, add the steaks and cook over high heat until nicely browned, about 2 minutes per side. Transfer the skillet to the oven and roast the steaks for 15 minutes, until medium-rare. 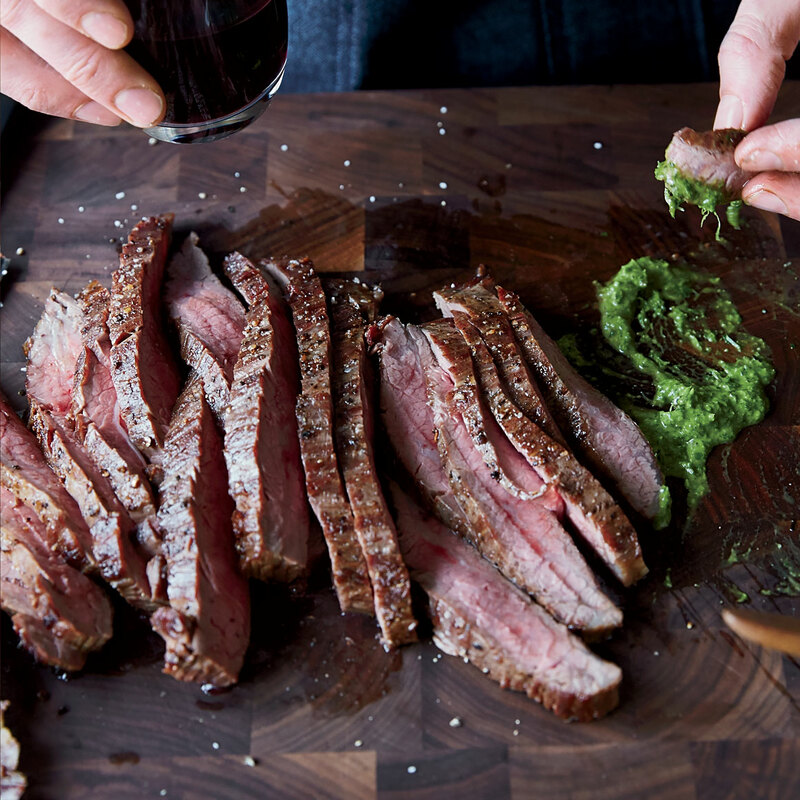 Transfer the steaks to a cutting board and let rest for 5 minutes, then cut them across the grain 1/2 inch thick and serve with the chimichurri.